The HCHS PTA hosts a Teacher/Staff Appreciation Luncheon twice a year. The holiday luncheon, scheduled for the morning of Friday, December 7th, is fast approaching. We are currently seeking appetizer and dessert donations, as well as volunteers for this event. If you are interested, please email Events@HunterPTA.org to provide your e-mail address so we can send you the online sign-up sheet. 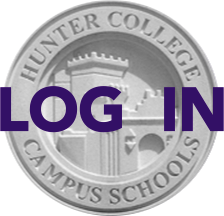 We look forward to hearing from you to support the Hunter community.